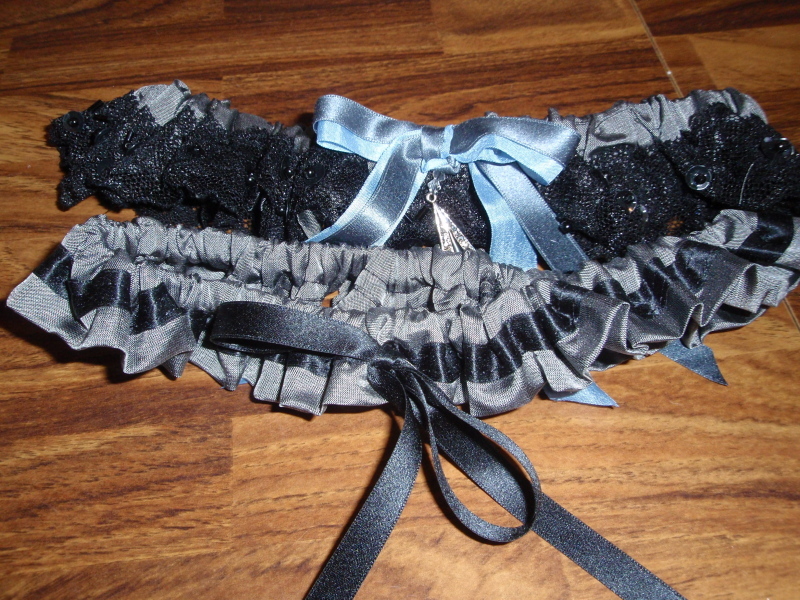 I made this garter set for a dear friend of mine who is getting married this weekend. She is having a vintage wedding with Art Deco details and I was so excited to make these for her. 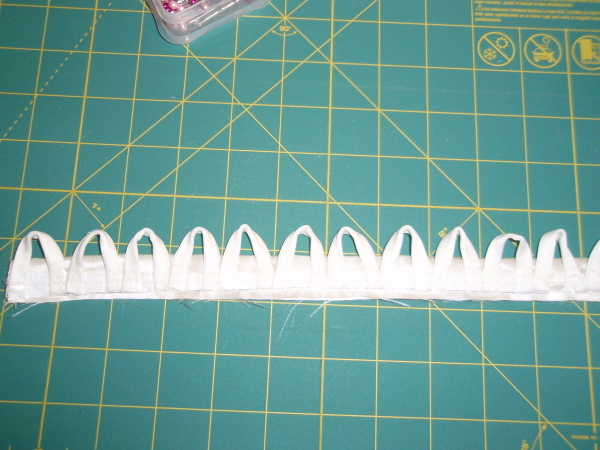 I used the same techniques for creating my own wedding garters, but using different colors and materials. The bride’s garters are made of grey silk dupioni, vintage black beaded lace, gunmetal grey silk ribbon, vintage blue silk ribbon, an onyx and rhinestone Art Deco pendant and clear Swarovski crystals. 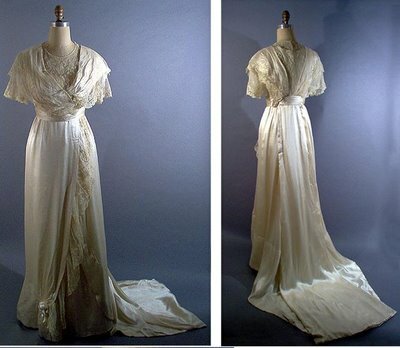 The silk fabric was purchased at JoAnn, the lace was a gift of my future mother-in-law, the gunmetal silk ribbon was purchased at Britex in San Francisco, the vintage blue silk ribbon at Lacis in Berkeley, I found the Art Deco pendant on etsy and the crystals were found at Michaels. 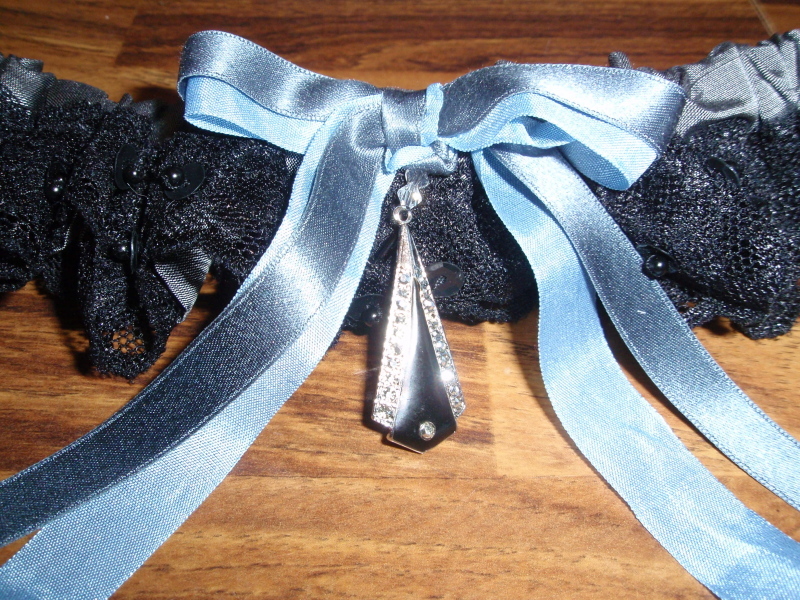 For the “throw” garter I used black silk ribbon with the grey silk dupoini, making it more simplified than the “keep” garter, but also so that it coordinates. Love this gorgeous garter set!